like camping, hunting, tailgating, and outdoor barbeques, then you've come to the right place. If you've been keeping up with technology in the past few years, you know one thing to be sure — it changes fast and changes all of the time. In fact, according to Moore's Law, improvements in technology basically double every two years and is based on the observation that the number of transistors in microchip doubles in that time. But, did you know even with these advancements, the power demands have increased over time? And, older, open-frame type generators have a harder time powering these modern electronics? This means that modern generators with built-in microprocessors, aka inverters, also advance with technology. You'll notice these generators are getting more powerful while becoming smaller, stronger yet quieter, and able to power sensitive electronics while being more durable. It's true, the next generation of generators are here and they are even easier to operate now than they ever have been. Some even come with remote controls and apps for your phone! Aside from load requirements, one of the most important aspects of an outdoor recreational generator is its decibel level. You don't want to be that guy or gal that ruins the party for everyone or scares away the game for miles. Not to worry, inverters compared to open-frame emergency generators, are extremely quiet because they utilize a unique type of alternator to generate very clean AC power. The engine can also run at varying speeds, significantly reducing noise levels and fuel consumption. If you are looking for a completely silent power source that does not need to be gassed or produces any fumes and is safe for indoor use, you may want to consider a solar generator. Sure, you can use an emergency generator at your campsite, but why torment yourself? With a proper recreational generator, you can power sensitive electronics like cell phones or laptops, and the noise won't drive campers crazy! Get ready to take in everything mother nature has to offer with the most-advanced technology generators have to offer. 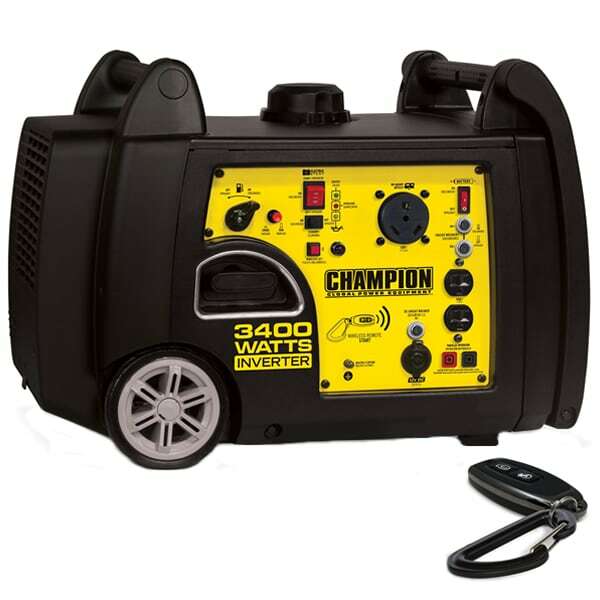 Are you looking for the best generator for outdoor recreational activities like camping, hunting, tailgating, and outdoor barbeques? Read expert advice on how to pick the perfect recreational generator. Electric generator industry professionals share their expertise on the factors that differentiate the various types of camping generators on the market.